Back in the U.S…..for now! 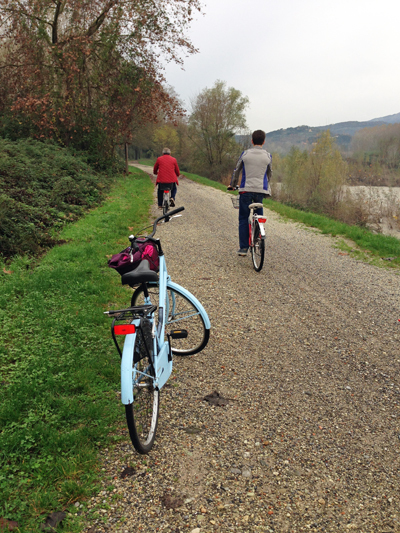 La bici stayed on in Lucca, while we at Beyond Doorways Travel are back in the U.S. For now, you may follow us at our website, http://www.beyonddoorwaystravel.com or write to us at discover@beyonddoorwaystravel.com. The blue bike will ride again. When it does, we’ll let you know when the blog is back. 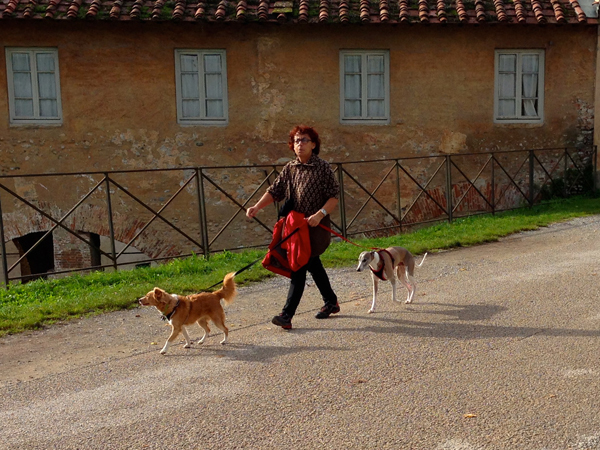 Tomorrow morning at 5a, we leave Lucca to make the long trip home to Santa Fe. 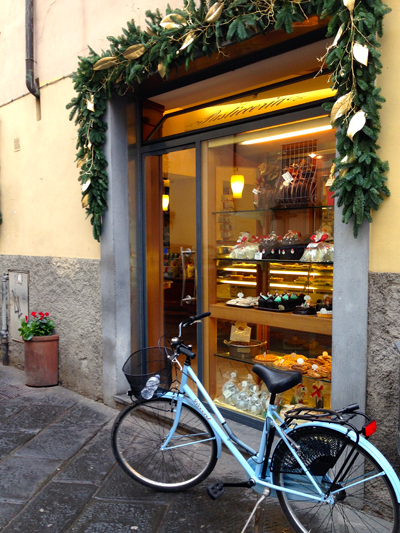 We are ready to return home for the holidays, but I am sad to be leaving Lucca and my blue bike. Our time here has been rewarding, challenging, eye-opening, healthy, relaxing, invigorating, fun, peaceful, sometimes stressful, always fulfilling. And although the weather in November has been gloomy, the streets are beginning to twinkle with Christmas lights and trees. I’m leaving the blue bike here, locked in the garage downstairs. I hope it will still be here when I return. 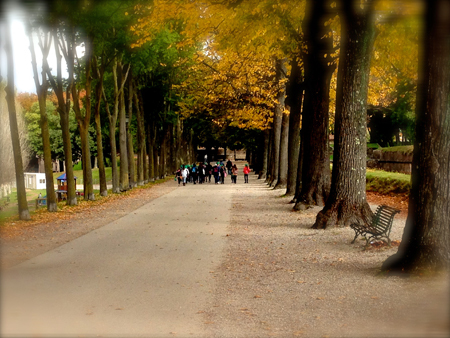 And I do plan to return to Lucca. It’s ‘when,’ not ‘if’ for me. I just need to convince my husband. But I’m so grateful to him, for supporting and encouraging my wish to spend this time in Italy. Already, I’ve found another apartment (a little newer, a little more glam) in the same building, that may be available for the next go-round. 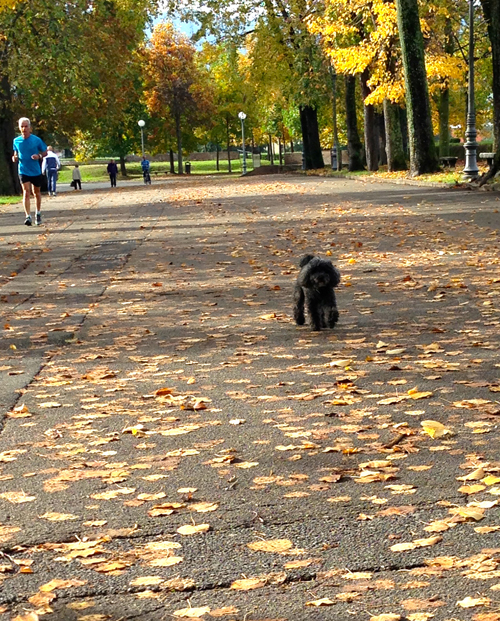 We’ve enjoyed our building and our neighborhood and can’t imagine being in another part of this city. Although the area inside the walls is relatively compact, each neighborhood has it’s own feel and characteristics. We’ve been charmed by the little elementary school across the street, the friendly bakery around the corner, the quiet feel in the evenings. I’m almost dreaming in Italian. 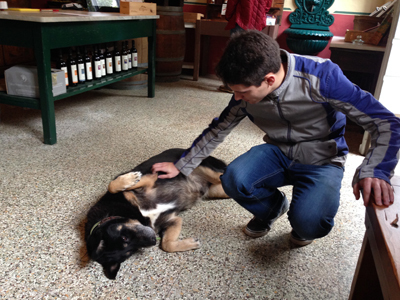 Like Cyro, the stray pup who arrived at the Colleverde vineyard 9 years ago and decided to call it home, by the time we found our way to this hidden fattoria in the hills outside Lucca, it might just have been easier to stay on ourselves. 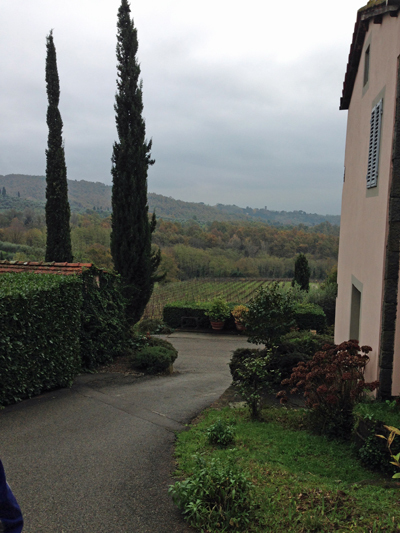 On our last trip this fall into the hills outside Lucca, we’d planned to visit two historical villas, and then make a stop at Colleverde, for our final wine tasting of the season. The villas have been closed for the season since November 1, but a polite phone call and an explanation that I was scouting for future travel planning, resulted in two pleasant guided visits. I’ll be sure to put them on a future itinerary. Despite the winding, – and sometimes unmarked – narrow roads that lead into the hills, our GPS system managed to work just fine through the first two stops. 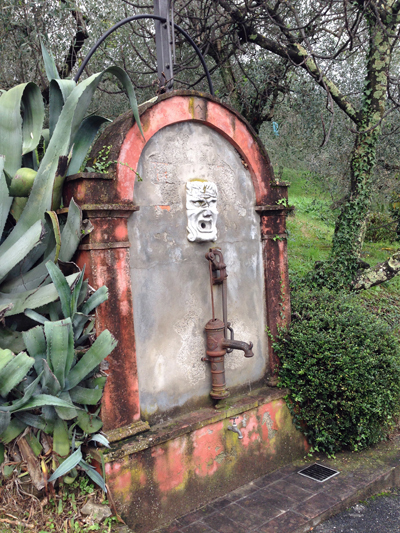 It was only when we tried to make our way from the second villa to Colleverde that the lovely disembodied voice on the Garmin exited stage left. 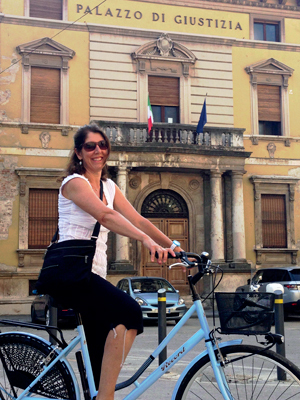 We’ve grown fond of her, and her English-accented pronunciation of Italian street names, over the past several weeks. This time, though, she didn’t come through. 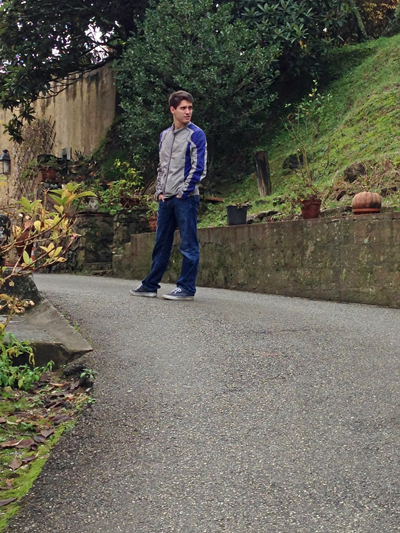 We came upon a closed road, hugging the precipice of a pretty serious drop off. Even in our tiny Fiat 500, the edge seemed way too close. I closed my eyes and waited until the driver – my husband – did a u-turn to backtrack. With only a sketchy map, we called the vineyard and the pleasant owner gave us clear cut directions. We arrived nearly 30 minutes late, parched and ready for wine. 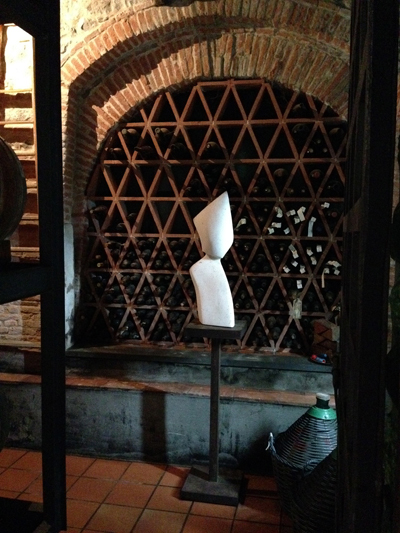 The quiet atmosphere, the wine, and the agreeable winemaker, Mirko, didn’t disappoint. As the tasting didn’t include any snacks, save some tasty focaccia, we left about 2:30p, ready for food. 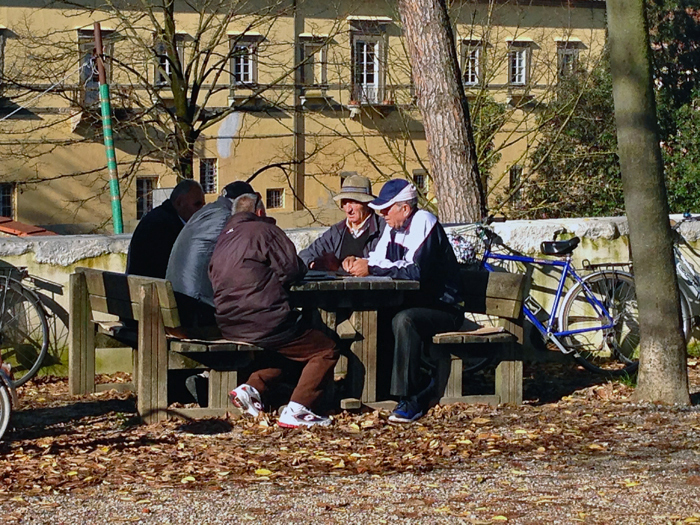 Although restaurants generally don’t stay open for lunch past this hour, we found a small bottega along a canal at the bottom of a switchback. The kitchen was closed, but the waiter served our son a hearty, melt-in-your-mouth rabbit stew, and we shared a generous antipasto platter. 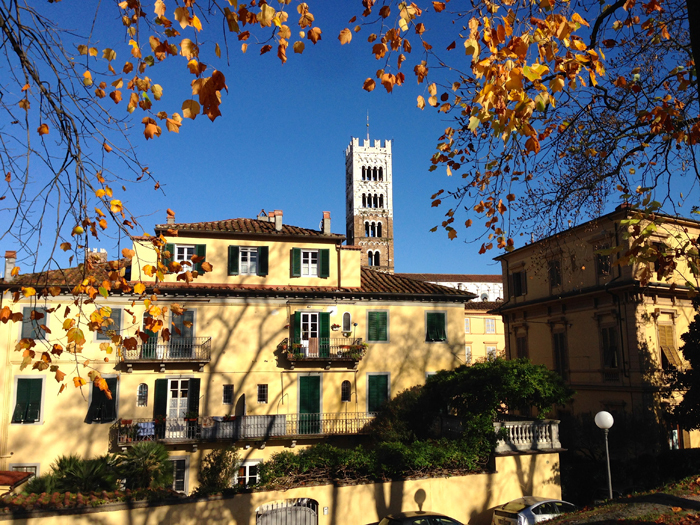 After what had felt like an endless stretch of rain and gloom, today’s forecast cried out “Abundant Sunshine.” And indeed, today has been one of the most beautiful days of all in Lucca. 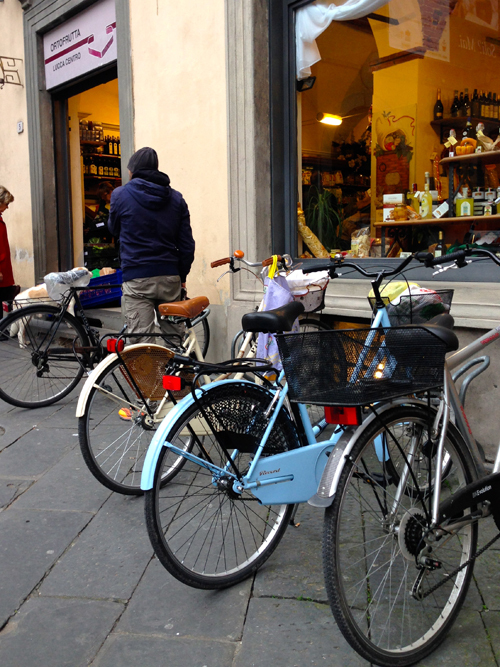 In Lucca, everyday is market day. 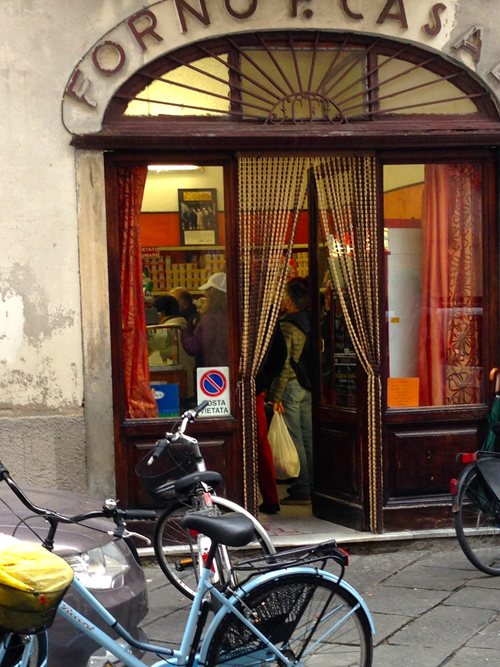 With little storage space and refrigeration, we go to our favored markets nearly every day – for bread, cheese, fruit, vegetables, pasta and meats. 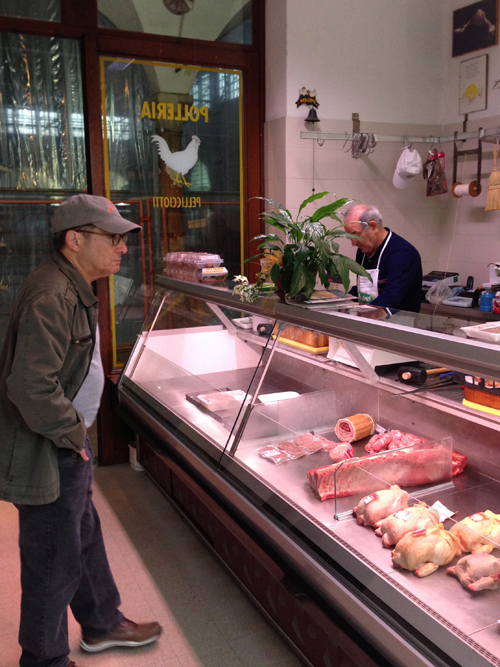 Saturday is a busy day at all the local shops, and we joined in at our favorite polleria (poultry shop), at the ortofrutta (fresh fruits and vegetables – the clementines are particularly good right now), and at Forno Casali (one of our two favorite places to get focaccia). 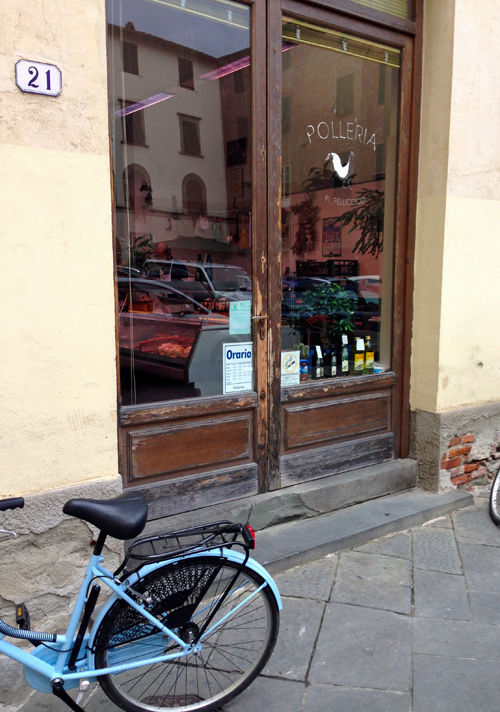 The focaccia, dense with olive oil and salt, usually doesn’t make it home…! 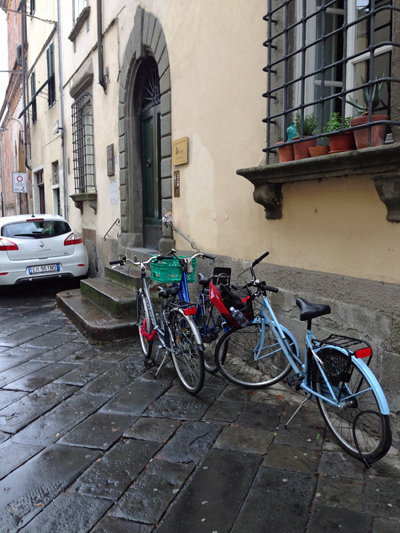 With only a few weeks left in our Lucca stay, and now that the weather has turned cooler and wetter, it’s a perfect time to continue improving my Italian. I’ve signed up for an intensive, week-long, one-on-one course at a local language school. Every morning at 9a (after all, it’s not real school so why start too early), I jump on the blue bike for the 7-minute ride across town. 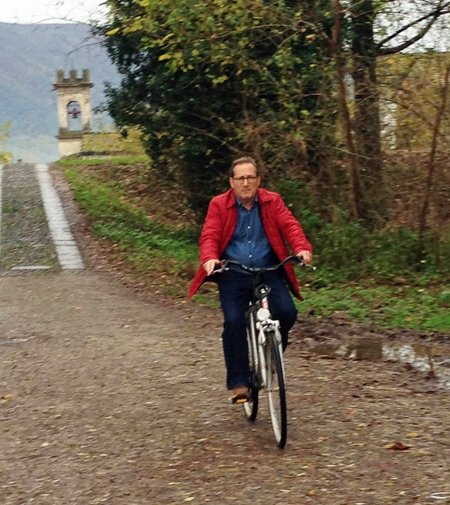 This morning, I do as all the Lucchesi do in the rain: one hand on the bike and the other holding my umbrella. It’s intense, and as I’m the only student I can’t drift off or let someone else do the talking. We’ve concentrated in the past few days on comprehension; that is, me being able to listen and fully understand Italian as spoken by Italians – fast and several words pushed together in one breath. 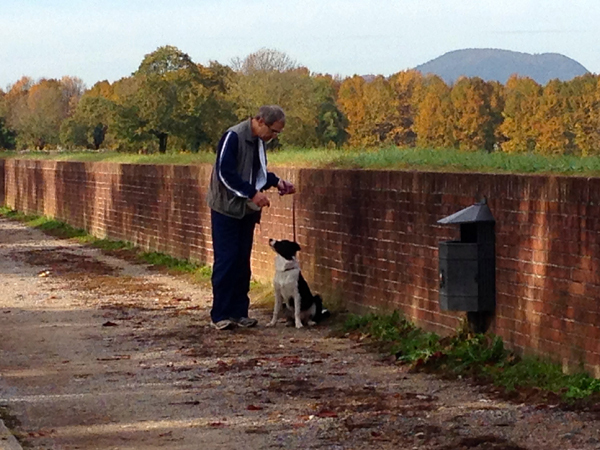 Not slower and more deliberate, as many considerate Italians will do when speaking to a non-native speaker. This focus is productive for me, as until now I’ve felt my ability to speak is better than my capacity to understand, especially when the replies come back to me at lightning speed. As my friend Anita, who both works with and loves dogs and is a phenomenal photographer would surely attest, dogs are not the easiest subjects to photograph. 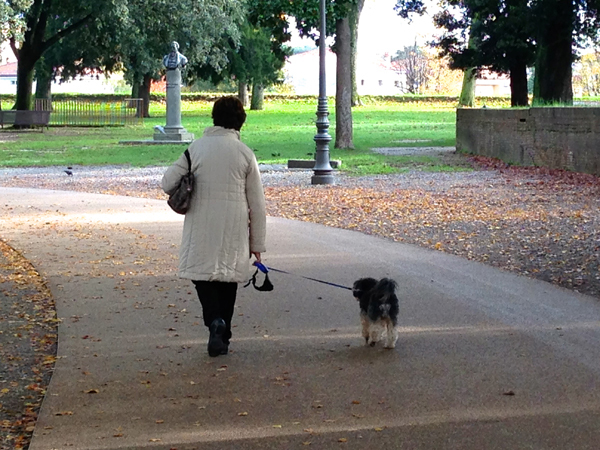 But on this glorious late fall day in Lucca, I did my best with a camera phone. 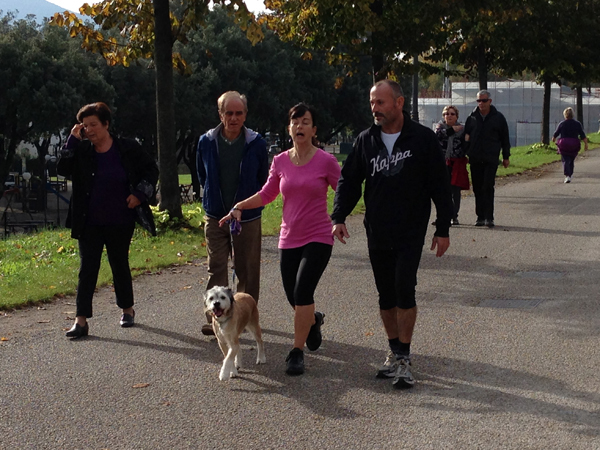 Everyday up on the walls, families, friends, joggers and elderly gentleman walk or run with their companions. 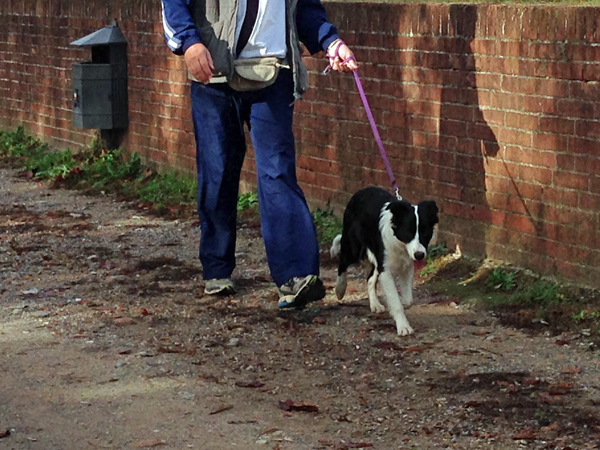 And like everywhere else, the dogs get all the attention! For Anita and all her companions; Jeanne/George and Bentley; Lisa and Otis ; Cynthia and Polo; Leigh and Trixie; John and the former great Geyser; Camilla and Hershey et al; Claire and Annie. And Nelly, of course! It has rained for two solid days and more is in the forecast. I appreciate the quiet that this season brings, but my hair is out of control and the blue bike sits patiently in the garage below waiting for the next outing. In the meantime, we are catching up on a lot of reading. Larry is close to finishing A Bell for Adano (set in Sicily during the American invasion late in the second World War), and I’ve just completed All the Light We Cannot See, an incredible story also set during WWII and recommended by my sister, Cynthia, during her recent visit. Yesterday, I watched on my laptop, Life is Beautiful (with Roberto Benigni) and tried to follow along in Italian as best I could. Next week, I’m doing an intensive Italian course (one on one) at a small school here. I do think my Italian has improved in the last two months, but could absolutely use another six to really feel solid. Mastering another language now is definitely more of a challenge than with Spanish back in my 20s. Tomorrow, we plan to go to Pisa to see a Modigliani exhibition at the Palazzo Blu. 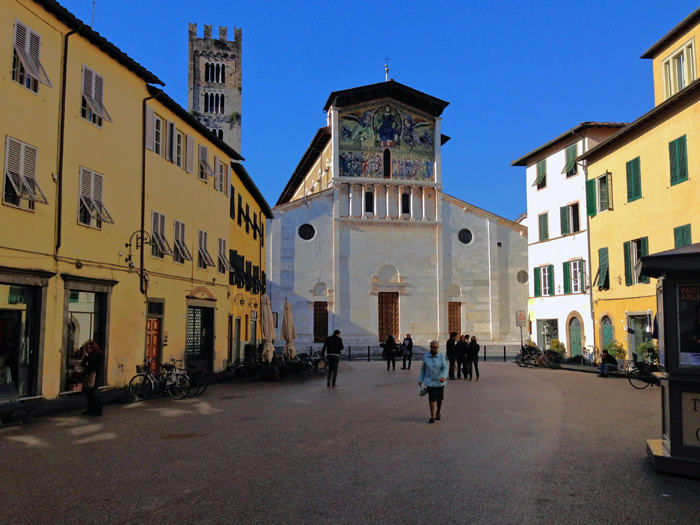 So good to be back in Lucca – again – after a week-long road trip to Bologna, Ravenna, Le Marche and the countryside of Arezzo. All interesting places. Young people in the university town of Bologna; 5th and 6th century mosaics in Ravenna; friendly people and the Tod’s outlet store (for Larry) in Le Marche; peaceful walks in the countryside around the 13th century Castello di Gargonza; and a visit with a friend in Lucignano, one of Italy’s Bandiera Arancia (orange flag) towns, so noted for their authenticity and charm – where gentlemen gather each afternoon at the Cafe du Monde for cards and conversation. 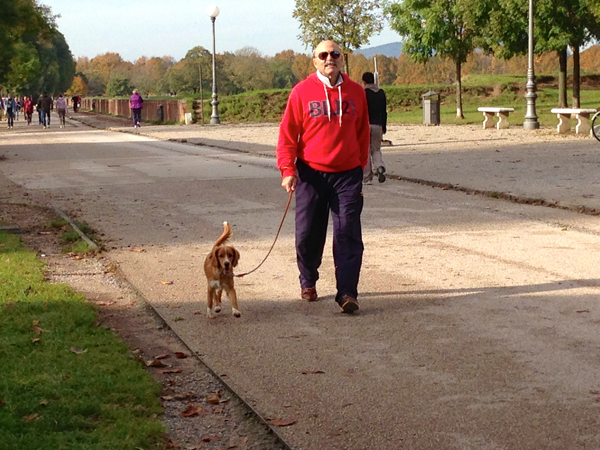 But I’m happy to be back in Lucca for our last month in Italy. Feeling sentimental already and planning ahead for the next Italy extended stay.